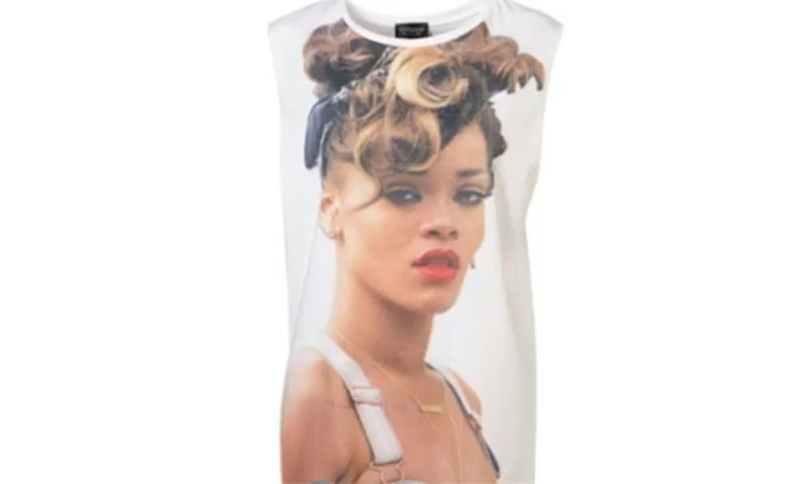 Back in the summer of 2013, pop star Rihanna was none too pleased to find her face splashed all over shirts sold by clothing retailer Topshop. Because while surely there are famous faces appearing on any number of items for sale, Rihanna didn’t give her permission to use a photo of her to shill shirts. And now, another court has agreed with her. The Court of Appeal in London upheld a ban on Topshop selling the tee, which features an unapproved photo taken of her while she was filming a music video in Northern Ireland, reports the BBC. Judges ruled that selling the item without Rihanna’s go-ahead is akin to “passing off,” or that customers might think Rihanna had endorsed the shirt when she hadn’t. She sued the company in 2013, and a judge ruled that some shoppers might be tricked into buying the shirt under the mistaken idea that it was a Rihanna-approved product. Next Are You Vaping Formaldehyde In Your E-Cigarette? Next Up: Are You Vaping Formaldehyde In Your E-Cigarette?